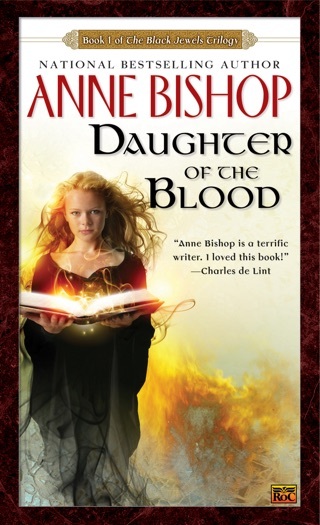 Bishop (the Black Jewels series) wraps a generally by-the-numbers urban fantasy in ill-conceived world-building. In this alternate universe, Native Americans have been entirely erased; instead, the natives of Thaisia (the continent analogous to North America) are Others, monstrous paranormal beings like vampires and werewolves. Despite the Others seeing humans as meat and brutally maintaining ownership of the continent, human settlements feel just like present-day small towns. Meg Corbyn, a human with precognitive gifts, escapes human slavers and finds sanctuary in a town s Courtyard, the Others-only section where human law doesn t apply. She gets a job working for shifter Simon Wolfgard, who s puzzled because she doesn t smell like prey, and befriends a number of other Others. Meanwhile, Asia Crane, an actress spying on the Others for the chance to get her own TV show, brings potential trouble for Meg and her new protectors. The offensive setup does nothing to enhance the familiar special-snowflake heroine s journey of self-discovery and implausible romance. A story involving many characters isolated by fear, loneliness & greed. Meg's innocence brings out the best & worst in the other characters as some strive to let go of their fear & loneliness, while others just see an opportunity for profit. 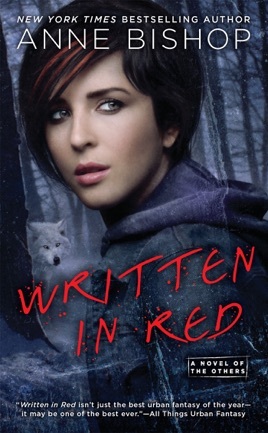 An excellent second read as many throw away sentences take on new meaning after the reader knows of the secrets revealed during the climax & epilogue. Wow! A great story as usual. So imaginative and fun to read. A book that has just enough description so as not to be tedious and all the action and empathy for the character that you could want. A great read. 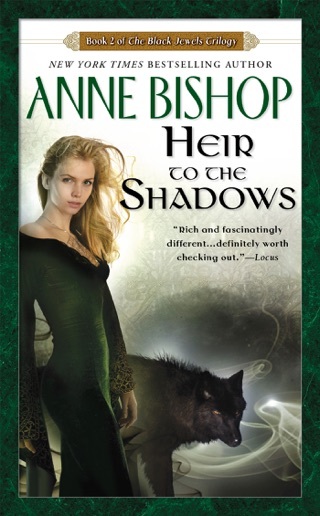 <blockquote>No one creates realms like New York Times bestselling author Anne Bishop. 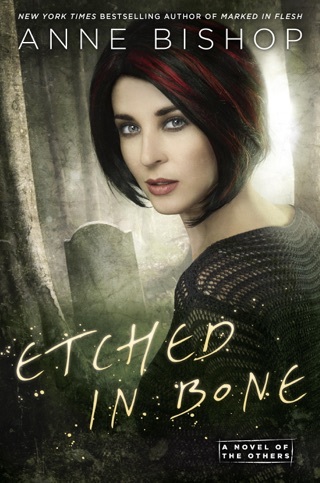 Now in a thrilling new fantasy series, enter a world inhabited by the Others, unearthly entities—vampires and shape-shifters among them—who rule the Earth and whose prey are humans. An incredibly original spin on a well trodden path, this book turns the idea of paranormal creatures and humans on its ear. In a world where humans are considered prey/meat/monkeys, and they know it, there is one group of the Others, known as the terra indigene that are slowly testing the waters of treating the humans slightly better. The Lakeside Courtyard is home to numerous different types of terra indigene (means earth natives), including Wolves, Elementals, Coyotes, Corvines, Hawks, a Grizzly Bear, Sanguinati (vampires), and one that the rest know is a terra indigene but not what she is specifically. And frankly they're OK with not knowing, for she scares even the top of the predator food chain. Courtyards exist within cities for groups of the Others who have the task of keeping watch over the city’s residents to ensure that they stick to the original agreements and treaties. Lakeside Courtyard is the only one in all of Thaisia that has a section with shops that both employees a small number of humans and has a few select shops that allows the humans to shop there. It is a rigidly controlled environment, and one where human laws do not apply; if and of the Others take offense from a human they have the freedom to do whatever they desire, from biting off the hand of a first time shoplifting offender, to killing and eating the offender. Regardless of how many times the humans have tried to expand the territory allowed them, they never seem to grasp that they will never prevail and so they continue to try. Each uprising usually ends with the loss of an entire town or city. The day Meg Corbyn shows up in the Courtyard, wet, cold, and frightened, marks the beginning of changes for the Lakeside Courtyard community and possibly the human communities near it. On something of a whim Meg is hired by the community leader, Simon Wolfgard to fill the Human Liaison position, which equates to accepting deliveries, sorting mail, and delivering packages too large for the boxes in her office. Right away Meg puts Simon on edge, and he soon figures out it is because she doesn't smell like prey. But as she settles into a tentative routine, so to do members of the Courtyard community. 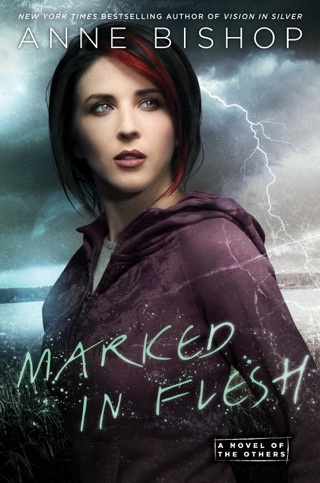 Eventually Simon and a few others discover that Meg is a cassandra sangue, or blood prophet. It is likely this is why she has survived the job as long as she has, and even begun to make friends. The problem is that Meg's former owner wants his property back. So the question is, does she mean enough to the terra indigene in Lakeside Courtyard that they will grant her their protection, or will they simply give her back? 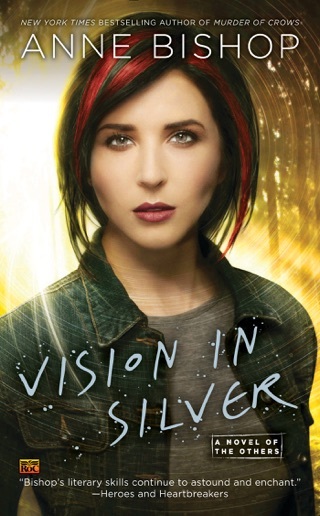 This book is an incredible read, full of suspense, adventure, and rich characters that grow and change throughout the story. The pacing and arc of the story are spot on, eliciting unexpected emotional responses from the reader. Multiple threads of smaller stories are woven together to create a whole tapestry that provides enough material to ponder for days. The hint of a possible romance between predator and prey is by turns, amusing, confusing, tender, confounding, and vastly entertaining, made more so because it appears to be one-sided thus far. 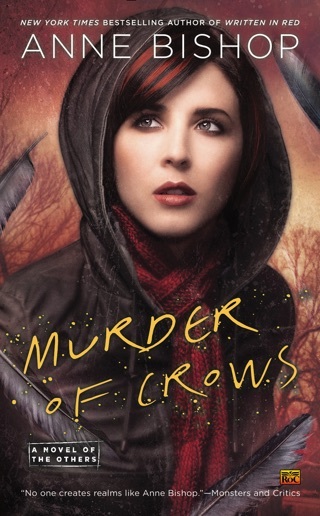 The book will leave you beyond anxious for the next installment in the series Murder of Crows.